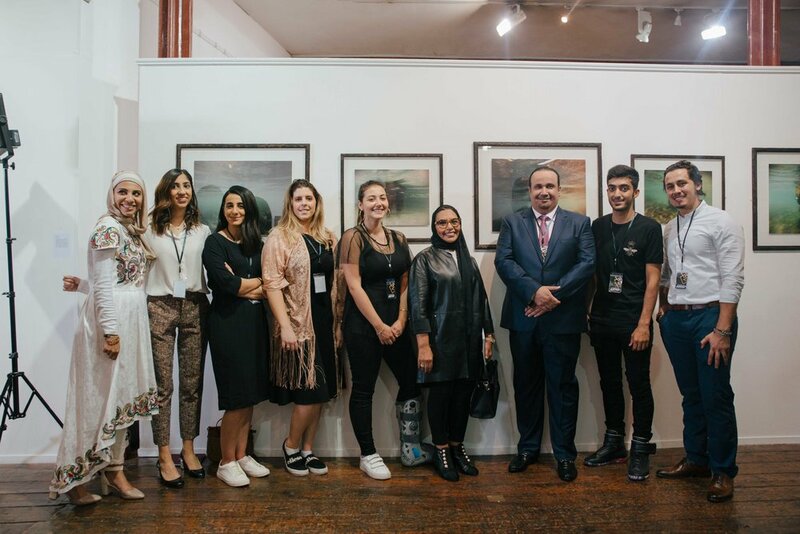 On the 16th of August, 42 Middle Eastern female and male artists came together in London to exhibit a collection of fantastic artworks. The transition exhibition was curated by Sara Foryame under the Reconnecting Arts platform, which supports Arab emerging artists. Over 300 people visited the Menier Gallery for the private view. The audience loving the work and making me blush!! I was very pleased to be one of the exhibiting artists along side lots of creative ones from across the Middle East. Each artist was bringing forward their ideas and own expressions, which created a mix of diverse and creative works. A full list of artists names can be found here. The painted patterns I chose to exhibit also known as Islamic Illuminations were completed in the traditional methods as I shared with you in previous tutorials (Introduction to the Traditional Art of Persian Illuminations). For the transition show, I tried to step away from the usual traditional combinations and styles to widen my spectrum and experiment with new colour combinations and text backgrounds. I stayed true to the methods and illuminated the patterns with 18ct gold and 23.5ct.